Exactly a year ago, when I was writing about the obsolete word apricity - used to describe the warmth of the sun in winter - I was admonished by a correspondent who pointed out that, as meteorological winter did not begin for another week, I could not have felt the winter sun. My response was that there was frost on the ground, it was bloody cold and therefore, to my mind, it was winter and what little warmth the sun gave me was apricity. 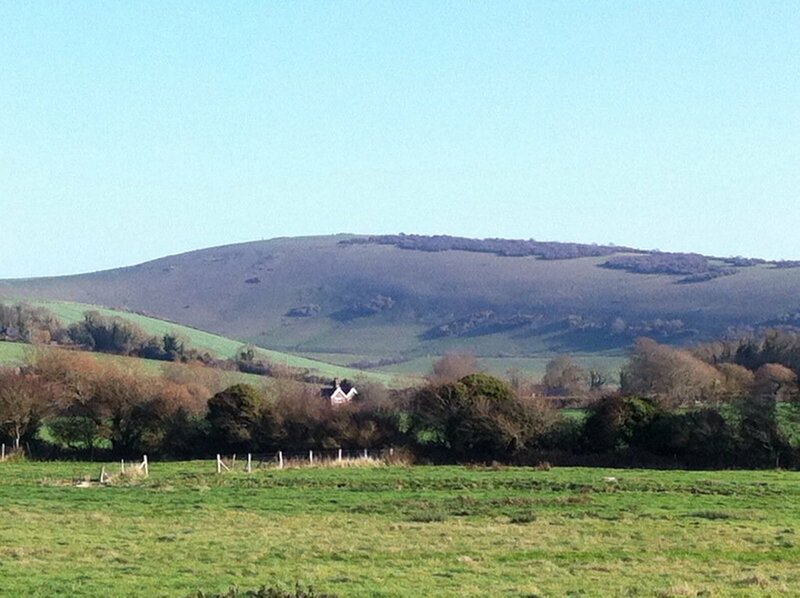 Walking in the countryside around Alfriston yesterday, I could not make the same claim. Yes, the sun's rays were shining down but it did not feel at all like winter. With December just around the corner, it was a mild morning and, with the exception of the odd cold day, typical of how the weather has been for weeks, now. Worryingly, it is as if the climate became fixed in early October. It all made for an idyllic walk as we left Waterloo Square in the centre of Alfriston and headed down to the Cuckmere River to follow its winding course away from the village and toward the sun. Apart from a cloud of smoke from a tree-feller's bonfire, the sky was clear blue and the gentle downland surrounding the valley a vivid green. This is the landscape that inspired the author Eleanor Farjeon to write the hymn Morning Has Broken in 1931; it could have been on such a day that she penned the line, "mine is the sunlight, mine is the morning". Despite the weather putting a spring in our step, the path on the western bank was well trodden and muddy so, as we arrived at our turning point - the Litlington White Horse high above us on Hindover Hill - we crossed the river for the less heavy-going eastern side. The firmer ground underfoot and the sun at our backs both hastened our return to the village for a midday retirement to the pub.